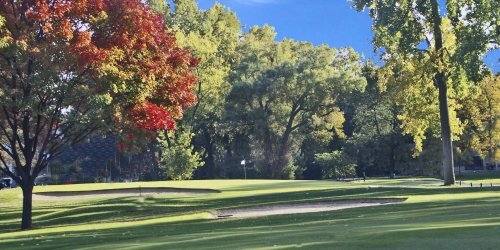 Below is a list of Chicago public, semi-private and private golf courses that host golf outings at their facility. The following golf courses are actively seeking new groups to host. Please inquire to receive a quote for your golf event/outing. 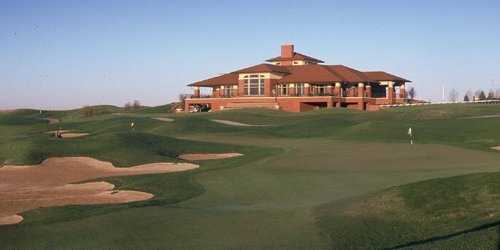 It just makes sense to host your next golf tournament or golf outing at Crane's Landing Golf Club at the Lincolnshire Marriott Resort. When you want a fun, relaxing time on the golf course, you need look no further. Crane's Landing is where your guests can enthusiastically enjoy their time together in a comfortable atmosphere. 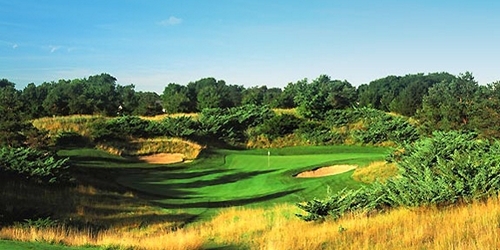 With an incredible 18-hole championship golf course, we make it easy to appeal to a diverse range of golfers. Large groups or small groups, your guests are sure to comment on the fun they had at Crane's Landing. 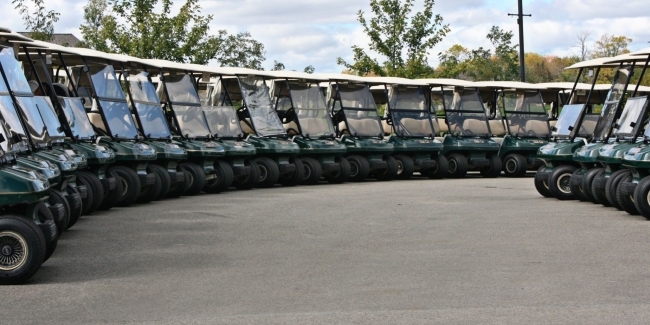 Old Orchard Country Club hosts 100 golf outing annually. From as small as-16 players to 144 shot gun starts. We do all the work helping you set up for a wondeful day. 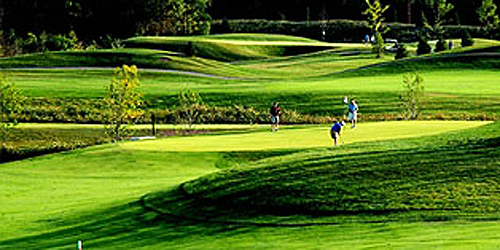 Please visit our web site (Oldorchardcc.com) to view several outing packages. No outing is to small and we will provide you and your guest with customized packages to meet your needs. Call Marc Heidkamp today at 847-255-2025. We look forward to serving you. Golf is a game that brings people together. 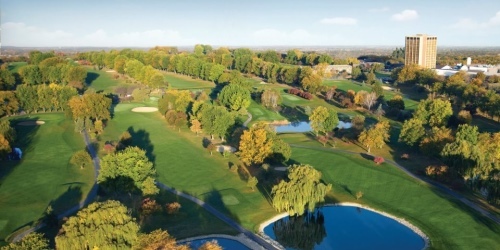 Tucked into the beautiful Fox River Valley landscape, just outside of Chicago, the 18-hole course at Pheasant Run Resort is the perfect destination for group outings, tournaments and events. Whether you're planning a corporate team-building retreat, a family tournament, or a charity golf event, our 250-acre resort and par 72 golf course are the perfect settings to inspire and entertain groups of all sizes. "My family and I have partnered up with the staff at Pheasant Run for over 10 years now - and they help make the day fun, even for the organizers! - Jeffrey Cameron, The Cameron Family Golf Outing Benefiting Susan G. Komen. Please contact Jamie Nieto at 630-584-4914 for pricing and arrangements. 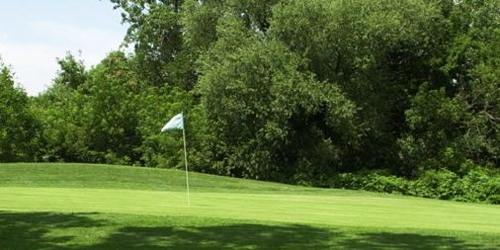 Prairie Landing is proud to offer our facilities as the ideal venue to host your golf outing. Our staff meticulously tends to the smallest details, making your job easy and enjoyable. We welcome the opportunity to impress your guests with our service & overall atmosphere. To spend less time planning and more time practicing for your event, please contact our Regional Office today at 708.429.8223 or fill out our Request for Information Form. 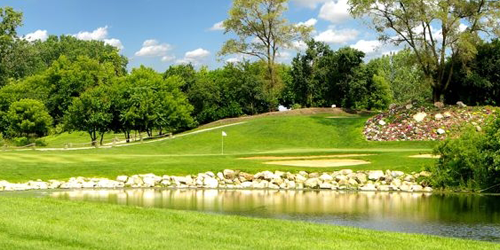 Make Salt Creek your home for your outing we can customize your event event to fit your budget and your needs. to build your business by entertaining clients, associates and employees. 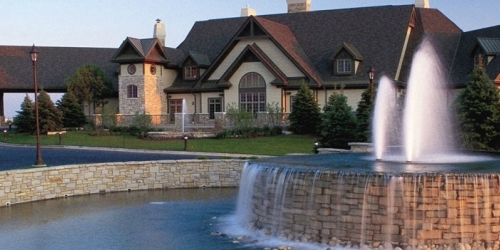 The Glen Club is a premier golf and banquet facility ideally located in Chicago's north suburb of Glenview. The quality of golf and level of service provided to our outing guests is of the highest quality and sure to impress all that participate. All aspects of your outing will be professionally run so that you and your guests can fully enjoy the day. 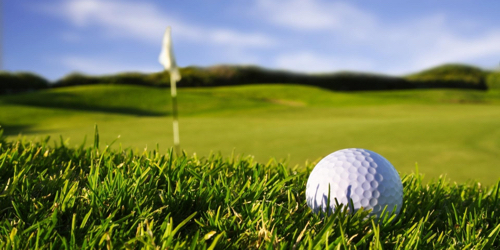 Our first priority is to meet your needs and to continually strive to exceed your expectations so you can count on your golf outing being both memorable and successful. Forget the hassles of complicated planning. Our professional staff will work closely with you every stop of the way. Our goal is to help make your outing an exceptional event of which you will be proud - on budget, on time, and enjoyable for all. To receive a personalized proposal for your group's event, please complete the form to the right, or contact Brian Dober, General Manager directly at 708.671.1032. Speaking of value, Water's Edge includes many options as part of our basic outing package that others charge for. From custom score cards to a master of ceremony to kick your event off we'll made your event complete without going over budget. 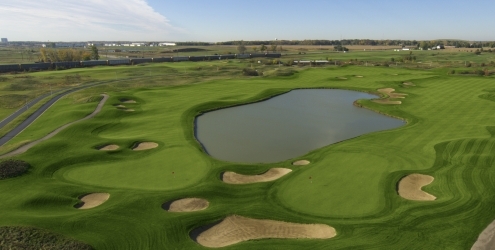 To spend less time planning and more time practicing for your event, please fill out our online information form or contact Brian Dober at 708.671.1032 or bdober@watersedgegolf.com. Enhance your event by adding a meal form The Edge Bar & Grill. Whether you looking for a quick box lunch at the turn, a pre-round breakfast buffet or a full dining experience, we'll help you build a plan to feed your hungry guests. 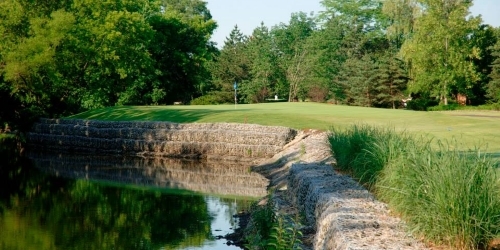 Please contact Chris Mignogna at 708.671.1032 or cmignogna@watersedgegolf.com. The Edge Bar & Grill is available for non-golf events. Family milestones, birthday or retirement parties, corporate events, charity functions and more can be hosted in our spacious dining area. Overlooking the 18th hole, and including an outside patio and covered pavilion your guests will enjoy the atmosphere The Edge Bar & Grill offers. That's not all, you'll be able to make a custom menu prepared by our Executive Chef to fit the dining requirements of you your group. Call us at (708) 671-1032 to speak with our Event Specialist.